A quarter of parents have secretly considered separating from or divorcing their partner, according to new research from relationship support charityOnePlusOne, reports the Solicitors Journal. January is seen as the most popular time of year for members of the public to make enquiries about divorce, with the first working day after the festive period dubbed 'divorce day' in legal circles. OnePlusOne director, Penny Mansfield CBE, said: "For many people, the additional stress of Christmas and the start of the New Year bring these underlying problems to the surface, and they make their final decision to part." Jo O'Sullivan, a family solicitor at O'Sullivan Family Law, who advises OnePlusOne said: "We definitely see a peak in enquiries about divorce in January and by the time people come to us for legal advice, emotions can be running high. In TV dramas we see battling parents fighting custody and childcare issues out in court, but court should only ever be a final resort." A recent poll conducted by OnePlusOne found that although six in ten people in a relationship admitted to having experienced relationship problems, 23 per cent said they had never sought assistance from friends, family or professionals. The charity discovered that the most often turned-to sources of support are friends (23 per cent), family (16 per cent). Seven per cent of respondents said they had consulted the internet for advice. The results also showed that only 4 per cent of those polled had sought help or support from a therapist orcounsellor, and just 3 per cent from a support service. Commenting on the findings, Mansfield, said: "People rarely decide to separate or divorce suddenly - often they've been thinking about it for months, if not years. 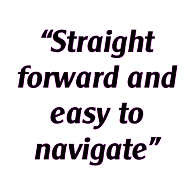 Seeking help at an earlier stage - when the first thoughts about separation creep in - can be the first step in resolving problems and make the likelihood of splitting up less likely." She continued: "Separated parents who are able to communicate with one another effectively and are able to work out arrangements about money and the children early on have the best chance of preventing their children becoming stuck in the middle of their disputes. Recent government figures show that more than half of parents say they find it hard to access the support they need to agree future childcare arrangements when they separate. A survey of 14 to 18 year olds with divorced parents released in November 2014 found that one in three felt their parents had tried turning them against one another during their dispute. O'Sullivan added: "Alternatives to court, like family mediation and collaborative practice, reduce the stress of a split on children and lead to better outcomes. 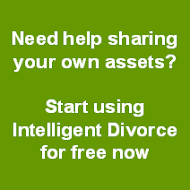 Intelligent Divorce offers another solution, incorporating elements of both mediation and collaborative practice - as one user commented "Divorce is stressful but Intelligent Divorce made the financial and legal side of our divorce as free of stress as possible." Register on the site today for free.